Live streaming video and audio coverage of the House of Delegates floor sessions and public hearings are now available. Click the audio or video button below. 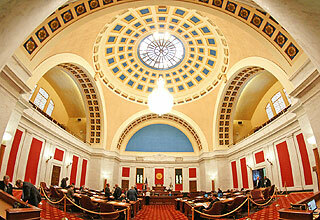 Live streaming video and audio coverage of the State Senate floor sessions are now available. Click the audio or video button below. 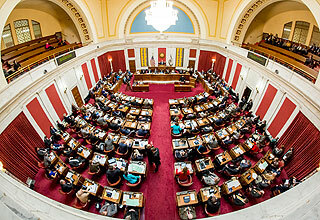 West Virginia Legislature Live is a video & audio web streaming initiative of the House of Delegates and Senate - offering live webcasts of offical legislative proceedings. Meetings may be delayed, please check back frequently for availability. The video/audio player will work on PC, Mac, tablets, mobile devices - and all browsers. If you are having issues, please check to make sure your browser is updated to the most recent version.